Keep your line in the water... plenty still to flow under the bridge. Pound-for-pound, Summerhill’s Ready To Run story remains unparalleled as the best racehorse sale in the land. The R100,000 Kimberley 1400 produced the best finish of a true-blue Monday afternoon for punters at Flamingo Park with Ryan Munger getting longshot Taso The Sailor up in the final stride to head the consistent Emerald Mackay, who had looked a winner inside the distance. Here are Siyabonga Bhengu's selections for the 2014 Johannesburg Ready To Run Sale. Siyabonga has always had a passion for working with thoroughbreds and has been hanging around and helping out in the stables since he was able to walk. Here are Thokozani Dlungwane's selections for the 2014 Johannesburg Ready To Run Sale. Thokozani loves sticking with families. 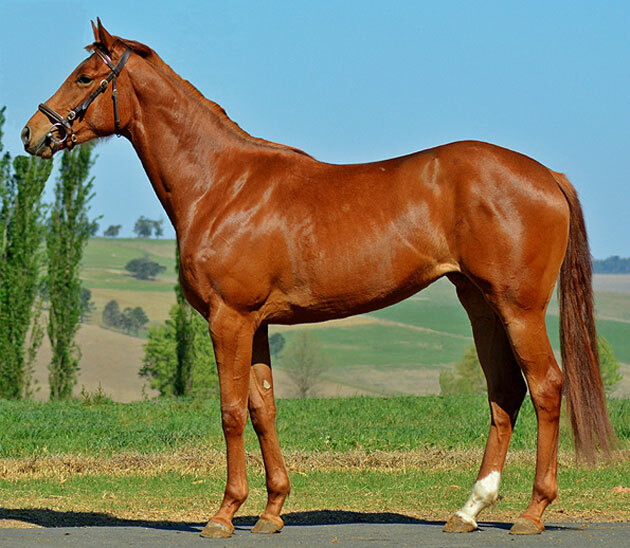 Chili Chocolate, a 2013 Summerhill Ready To Run Sales graduate, is the first produce of dam Heliantha, half sister to Wild Aster. INKOLO, a graduate of Summerhill's 2013 Ready To Run programme, is a half sister to the seven time winner MAJI MOTO. Here’s the epitome of what they say about dynamite and small packages. Built like the proverbial “brick…”, Blue Lily is a bullet, and reminds our team of her accomplished predecessors by Muhtafal, Veiled Essence (who lined up in both a Vodacom Durban July and a J&B Met) and the Pretty Polly Stakes (Gr.3) heroine, Mzwilili. This family kept Pauly de Wet’s Zandvliet Stud in the headlines, and this one could be writing her own history this time next year. More than a few of the nation’s leading stud farms have got their hands on this family, and this one’s by the accomplished second crop sire Mullins Bay out of a Fort Wood mare, who’s already made her mark with the four-time winner Silverano. His drop-dead- gorgeous looks and his classic pedigree will have the catalogues fluttering when he enters the ring. FLASHING STAR is a graduate from the Summerhill draft of the 2011 Emperors Palace Ready To Run Sale. In Warren Buffett terms, investing in stallions would be a “no-no.” He always speaks of his “circle of competence”, and he seldom ventures out of it, to the degree that when it comes to technology stocks, until very recently for reasons besides technology, he took a stab at IBM. Remarkably, he never held anything in the “tech” field, notwithstanding that Microsoft’s founder Bill Gates, is a member of his Berkshire Hathaway board. The stallion business is a little more speculative, shall we say, and you need not only to have your wits about you, to do your sums and implement your best risk management practice, but when it gets down to the horse himself, the genetics, his performances, his physique, and especially his “X factor”, you’d better know your stuff, and even then, there’s margin for error. So it’s a good sign once you’ve got your bankers to sign the cheque, and Lloyds to take him on risk, that his fertility is up to scratch. Then there’s the agonising year-long wait for his first foals, and the nurture that extends well into the yearling stage. Meanwhile, you want to know you’ve given the youngsters everything of the best, the best environment, the best husbandry and the best nutrition, and the best opportunity to be everything their histories promise they could be. After that, it’s out of your hands, and you’re at the mercy of the judges, who were here last week to cast their eyes over the crop for April’s National Yearling Sale. Our “new kids on the block” are Mullins Bay, Ravishing and Stronghold (their second crops) and the “showroom boy,” A.P. Arrow (first crop.) The latter is represented by fine specimens at this week’s showcase Cape Premier Yearling Sale (both scored 9/10 when John Kramer and Keeneland’sTom Thornbury were the examiners), and “A.P” was on the mark again last week with two more 9s, one 8.5 and three 8s in the Summerhill draft. 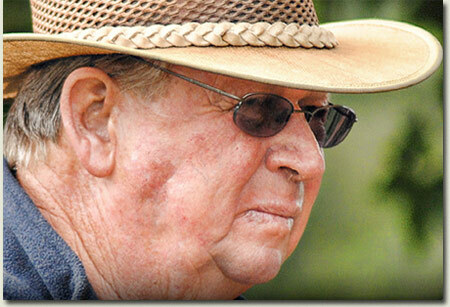 John Kramer has long ranked among the top judges of yearlings in the world, and this year the Thoroughbred Breeders Association have appointed one of the best men in the profession to accompany him. Stanley Bennett was a classmate of John’s when they were growing up in Beaufort West (a long, long time ago!) and became one of this country’s most revered studmasters, both for his own account and in a long and distinguished career at Maine Chance Farm, initially with Godfrey Gird and then with Graham Beck. He knows horses as well as anyone we know, and between the two of them, they make a rare combination. Every time a Mullins Bay came on parade, Stanley was quick to proclaim its virtues, and in the end, the man stood up with 6x 8,5s and 4x 8s. His contemporary Ravishing has just three entries, but Robert Muir’s stallion scored astonishingly well with one 9, one 8 .5 and one 8, all with potential to make the connections of the former S.A. Derby winner, break sweat. Finally, there’s an old saying that they only have to die or be sold, and there’s an explosion. That this could be the case for Timeform’s champion handicapper, Stronghold, is undeniable, given the results returned by the judges. Eight entered, 3 x 8.5s and five 8s, simple as that. This is some kind of a draft, as it doesn’t end there. There’s the usual raft of Kahals and Muhtafals (trumpeted last week by no less a judge than Bill Oppenheim, whose Apex ratings placed them 5th and 8th respectively among the best stallions in the country), but there’s more to this lot than that. We also have internationally-bred representatives of Authorized (first for the English Derby winner), Duke Of Marmalade (international Horse Of The Year), Husson (the Argentinean champion, who ranks third among all juvenile sires in Australia with his first foals at the races,) and Teofilo, whose present ad in the Darley camp claims he’s off to a better start than his own phenomenal sire, Galileo, at the same stage. Wherever else you may fish at the National Sales Complex, if you want to be in the swim in 2013, you’d need to make a turn at Block A.